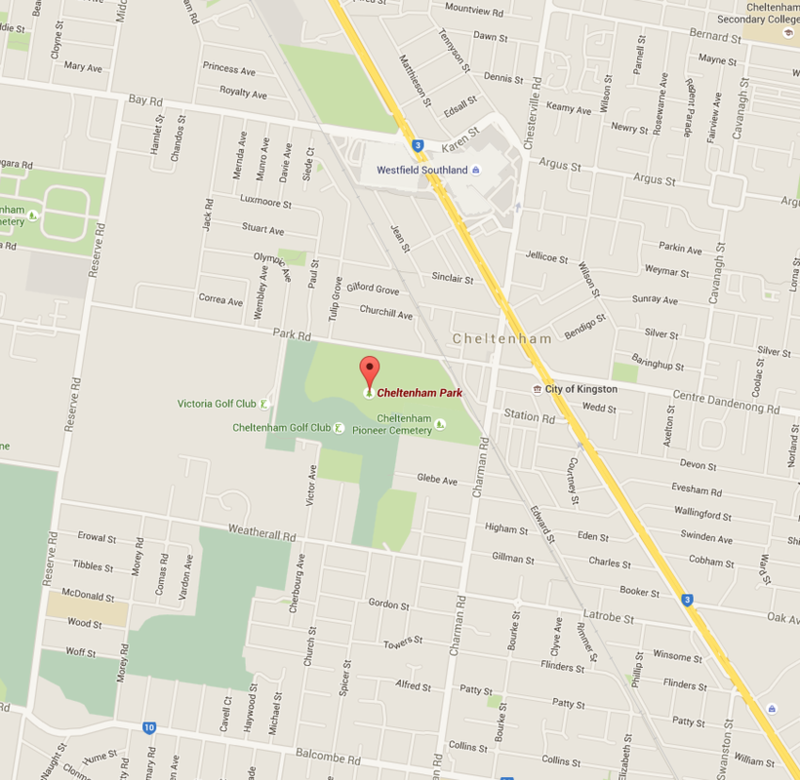 The Bayside Indian Myna Action Group ( BIMAG) operates out of Gardeners’ Shed at Cheltenham Park ( see map and directions below). This shed offers storage for traps and maintenance facilities, and provides an operational hub where trappers can collect their traps, return caught birds, and when finished, return their traps. It also offers opportunity for trappers to discuss their trapping success or otherwise, and swap yarns with like-minded folks. The shed is very close (40 metres) to the park entrance off Park Rd, up a bush track behind a low steel boom-gate which can be seen on the LHS as you enter Cheltenham Park. You cannot park there so proceed down the incline to the first car-park on the LHS and park there. Then walk along another bush track in a NE direction for about 40 metres, and you will find the red brick shed with roller door entrance. ​The Shed is open on Monday, Tuesday, Thursday and Saturday between 4 – 5.00 pm for trap distribution and return, and for delivery of birds. Trappers may deliver their birds in traps or other receptacles. BIMAG volunteers check the bird species, numbers and condition of the birds trapped and will note and take action if problems are discovered. Bird numbers and place of trapping are noted for the trial. At closure of the shed at 5.00pm (or occasionally later by arrangement), the duty BIMAG volunteers may take the trapped birds to nearby vets, or may euthanize the birds on-site cleanly and humanely within the holding container. The process used is the same as that employed by vets and concords with RSPCA and Council codes of conduct and also meets the standards of regulated space and treatment of birds. So, if you have caught a bird(s) just bring them along to Cheltenham Park –the Gardeners’ Shed-- just inside the main gate on the left-hand-side, between the hours of 4.00 and 5.00pm on Monday, Tuesday, Thursday, and Saturday. No appointment or ringing ahead is necessary as there will be someone there. This system operates this way because of the generosity, sensitivity, and care for all birds and the environment exercised by the Bayside City Council and the members of BIMAG. We live in a privileged and wonderful environment – Botanic Bayside – and we are dedicated to ensuring the continuation of our native species of wildlife and flora. We expect that all citizens will do their best. We certainly are.